This spectacular Jeremy Chan dish may well be one of the most complex recipes we've ever published! 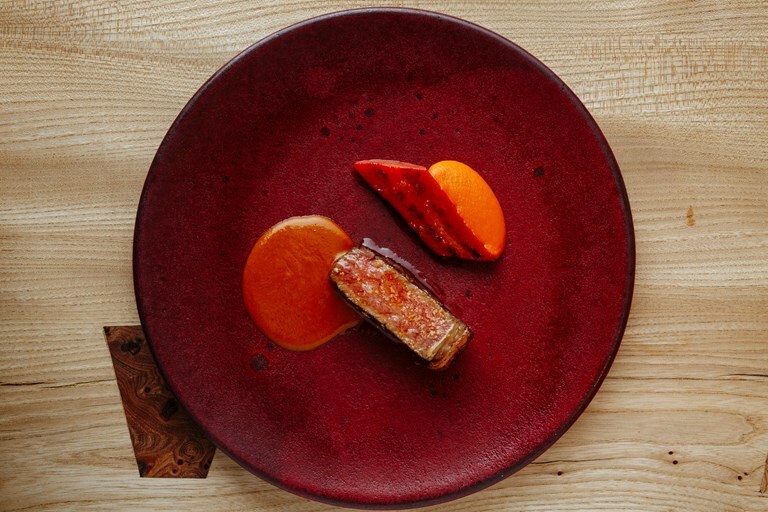 Jeremy riffs on West African peanut maafe by making his with carrot, serving it with an outrageous piece of beef sirloin which is tenderised in roasted kelp paste, marinated in Nigerian suya and cooked sous vide before being finished in a pan. The final result is typical of Jeremy's cooking – incredible depth of flavour, layers of umami and utter simplicity to the eye.